Are these two liquors interchangable in drinks? Tequila and mezcal are both distilled spirits that originated in Mexico and are made from agaves—succulent plants native to the Mexican desert. But do you know what makes them distinct liquors and the reasons why you might choose one over the other? Tequila is subject to more rigid standards than mezcal. Tequila was originally distilled from the sap (called aquamiel, meaning honey water) and the heart (also called the pineapple) of the blue agave plant. That agave was also turned into a brandy known in old Mexico as vino mezcal. Other types of agave can be used to produce brandies, but they're known simply as mezcals. Today, mezcal and tequila are two completely different liquors. Tequila may be made only from the blue agave in five Mexican states, with the majority produced in Jalisco. Mezcal may be made from any variety of agave and in eight Mexican states, with the majority produced in Oaxaca. The original fermentation is 104 to 106 proof but is reduced to 80 to 86 proof for shipment to the United States. To be considered tequila, Mexican standards require the liquor to be at least 51 percent derived from agave sap sugar, with the remaining 49 percent generally being corn or cane sugar. These lower-quality tequilas are perfect for using in cocktails. Tequilas made of 100 percent agave are much more expensive and are sipped on their own so as to appreciate their high quality. Because of their sweet taste, they make a wonderful dessert liquor. The agave hearts are roasted for several days and then crushed to extract their juices. The liquid is allowed to ferment for up to a week. It's then distilled twice—to increase the percentage of alcohol—and either aged in barrels or bottled right away. Are Tequila and Mezcal Interchangeable? For most drinking purposes, you can easily substitute a mezcal for a tequila without really changing the taste of a cocktail. But as in most things, when it comes to the brand, you get what you pay for. If you just want to whip up a quick batch of margaritas for friends, don't sweat the price point. But if you feel like splurging, a pricier tequila or mezcal will generally outperform and provide a better tasting experience, especially if you want to drink it neat. 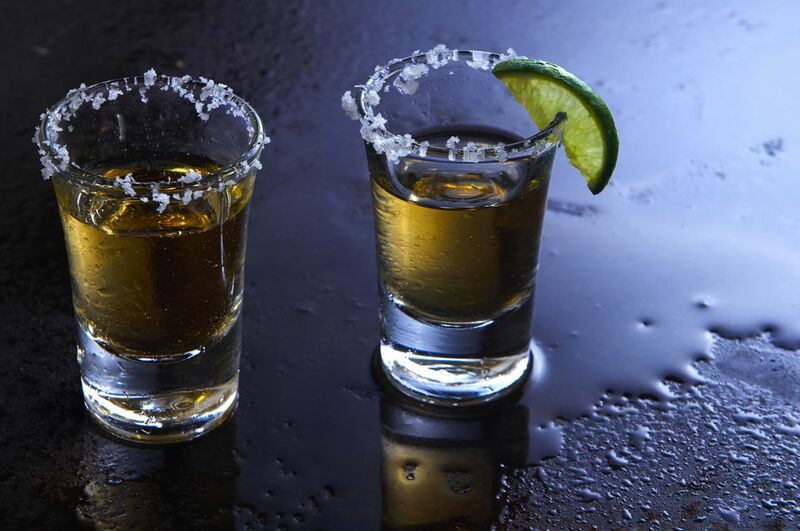 It's a common urban legend that tequila comes with a worm in the bottle. This "worm" is actually the larva of a moth referred to as a gusano. In the 1940s, a distiller named Jacobo Lozano Páez found that leaving the worms in his mezcal changed the flavor. People began to believe that finding one of these "tequila worms" was a sign of luck. Others believe that the presence of a gusano is a sign of the potency of the drink. While most of these beliefs are simply urban legends, many brands of mezcal have used them for marketing purposes. Have Your Tried the Traditional Mexican Beverage, Horchata? Ready for Something New? You'll Love This Tamarind Margarita!